Niv Horesh is Senior Fellow at the University of Nottingham’s China Policy Institute (UK) and Associate Professor in China Studies at the University of Western Sydney (Australia). Horesh has worked in the past as a Business Development Manager in China, and as a civil servant in Israel and Australia. This book sets out to explain how Shanghai emerged from relative obscurity in 1842 to become one of the world’s best-known finance and industry hubs. As China’s largest city, Shanghai today plays a central economic role, much as it did in the 1920s. The author provides a concise diachronic survey of the economic history of modern Shanghai, setting out how the city’s urban infrastructure, municipal institutions, consumer culture and industry have shaped, and have been shaped by, this economic power house. 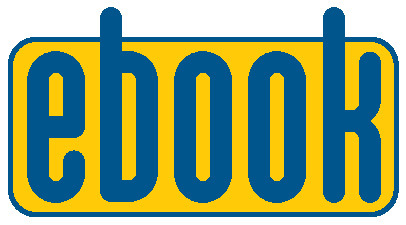 The work is aimed at a broad readership of all who are interested in Asian history, and tackles a range of themes including: the city’s millionaires, then and now; racial tensions and quotidian liaisons between Europeans and Asians before World War II; and the gambling and prostitution industry. The post-war era is portrayed in comparative discussions on Shanghai under Mao Zedong, and during the reform era. These discussions bring the narrative up to date to cover important events such as the designation of the Pudong precinct as the city’s new engine of growth in 1991. The city’s illustrious pre-war past is compared with its present ambitions to become Asia’s leading financial centre. The book employs insights from new institutional economics as well as from the development trajectory of other world cities by way of better understanding Shanghai’s historic distinctness, its relative weaknesses and contemporary strengths. This book describes the socioeconomic history of Shanghai, China, from 1842 to 2012 (leaving out the years of the 1870s–1900s and mid-1940s), focusing on its lesser-known aspects and new issues, through the lens of New Institutional Economics. 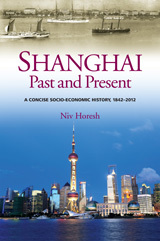 It details the city’s economy in the pre-war era and post-war reform after the 1990 designation of Pudong as China’s primary financial center, why the city attracted Chinese entrepreneurs and intellectuals before World War II, and the role of well-functioning capital markets, respect for property rights, free information flow, and a good education system. It traces the city's growth after 1842, its foreign-introduced legal system, the Kuomintang government, how integrated the city is with the rest of China and other Asian financial hubs, and its subethnicities; the role of rapid treaty-port development, location, land regulations, and other ports in the city’s growth; the role of public debt; and how its historic self-perception, changing economic makeup, and local media have changed in the reform period since the 1990s.